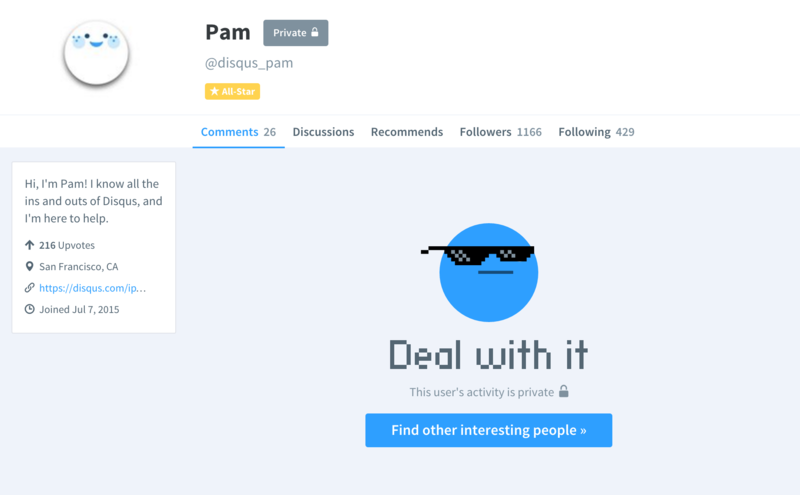 The ability to make your activity private allows you to prevent others from seeing the activity within your profile and keeps your activity from displaying within Digest emails. Upon enabling your private activity, your previous and current activity will only be viewable by yourself. The following of your account will be disabled and those already following you will no longer be able to see any of your commenting activity, which would normally show up in your profile, digests and the My Disqus tab. To make your profile private, log into your account, and visit your account settings. Please note that when logged in, your profile will still show your comments. To check if the profile has been correctly set as private, try logging out and visiting your profile page. Will people still be able to see my comments on communities where I regularly participate? Yes. Anyone who visits a site where you have left a comment will still be able to see your comment. Will new users be able to follow my account after it has become private? Once your comment activity is marked as private, users will not be able to follow your account from that point on. Why does my profile still show that there are people following me after I’ve made my activity private? We do not erase your followers once you’ve made your activity private. People following your account will no longer be able to view your comment activity, but you will still be able to view who has followed your account. Will people still be able to see my profile? 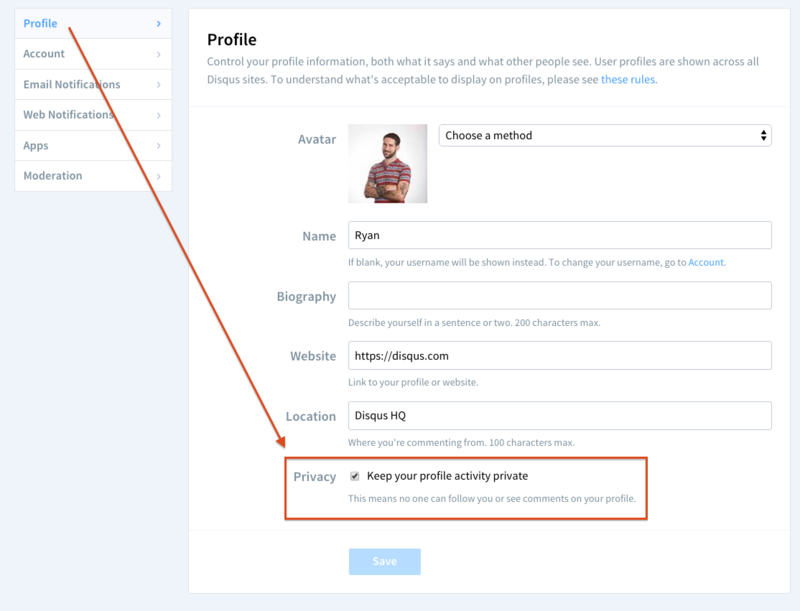 Please note that although your profile activity will be private, your profile can still be viewed which will continue to include your avatar, bio, website and social links (if you have connected your account to Facebook, Twitter or Google).